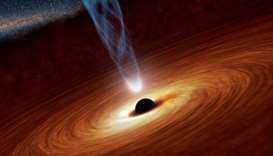 Astronomers who have been using a global network of telescopes to research black holes will present "a groundbreaking result" on Wednesday that could transform the understanding of the mysterious objects. 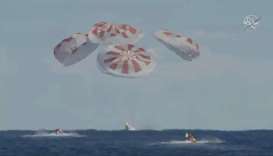 An unmanned capsule from Elon Musk's SpaceX splashed down into the Atlantic Ocean on Friday morning after a short-term stay on the International Space Station, capping the first orbital test mission in NASA's long-delayed quest to resume human space flight from US soil later this year. 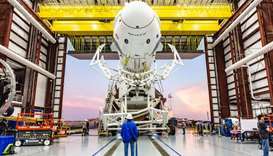 A SpaceX rocket with an unmanned crew capsule blasted off on Saturday for the International Space Station, in a key milestone for Elon Musk’s space company and NASA's long-delayed goal to resume human spaceflight from US soil later this year. 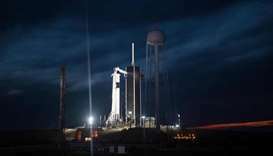 NASA on Friday gave SpaceX the green light to test a new crew capsule by first sending an unmanned craft with a life-sized mannequin to the International Space Station. NASA rang in the New Year on Tuesday with a historic flyby of the farthest, and quite possibly the oldest, cosmic body ever explored by humankind -- a tiny, distant world called Ultima Thule -- in the hopes of learning more about how planets took shape. 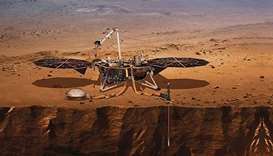 The US space agency's unmanned Mars Insight lander, which touched down on the Red Planet last month, has successfully deployed its key, quake-sensing instrument on the alien world's surface, NASA said Thursday. Indonesia's Lion Air is reviewing orders of airplanes from Boeing and has not ruled out cancelling orders as relations worsen in a spat over responsibility for a 737 jetliner crash that killed 189 people in late October. 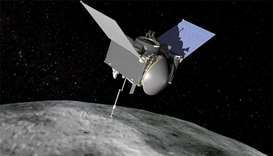 Over two-years after launch, the NASA probe OSIRIS-REx will land on a skyscraper-sized asteroid on Monday for the first US mission to carry asteroid samples back to Earth. 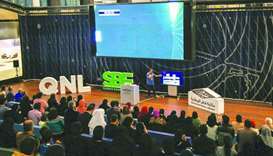 Qatar National Library (QNL) streamed live on Monday Nasa’s InSight Mission’s successful landing on Mars. 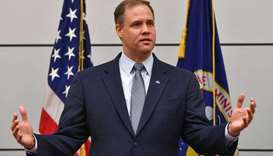 NASA chief Jim Bridenstine on Friday praised the Russian space programme and said he expected a new crew to go to the International Space Station in December despite a rocket failure. 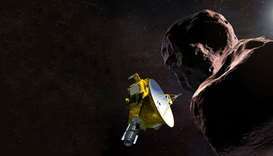 Yusaku Maezawa, 42, will be the first lunar traveller since the last US Apollo mission in 1972. He paid an unspecified amount of money for the privilege.